After former head coach Rob Patrick resigned on Dec. 6, athletic director Phillip Fulmer named Eve Rackham as Tennessee’s new volleyball coach. Eve Rackham was named as the new head coach of the Tennessee volleyball program on Wednesday afternoon by Athletic Director Phillip Fulmer. Rackham was a setter for North Carolina from 1999-02 and led the Tar Heels to four straight NCAA Tournament appearances. Rackham returned as part of the Tar Heels staff in 2009 as a recruiter and offensive developer. During Rackham’s tenure, North Carolina registered a 210-77 record and made seven straight NCAA Tournaments from 2010-16. 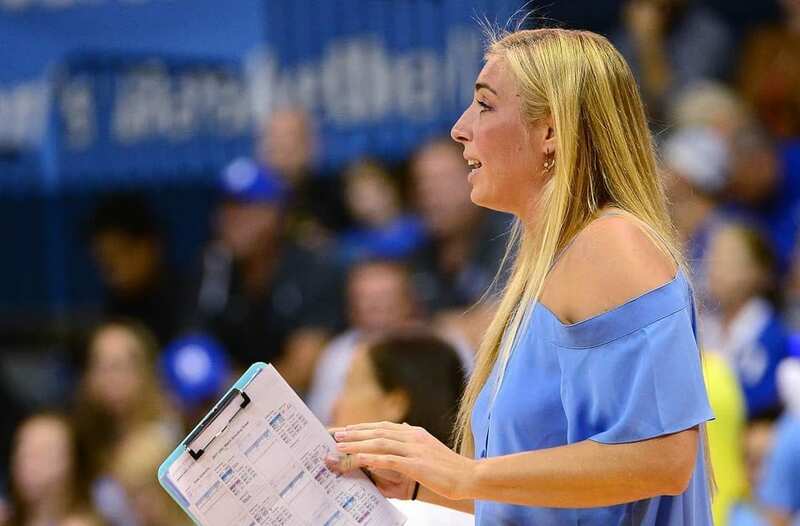 She also was awarded AVCA Division One Assistant Coach of the Year in 2014. Rackham’s contract is a five-year deal, with a 175,000-dollar salary in her first year. Rackham helped coach North Carolina to ACC Championship’s in 2014 and 2016, including a program best No. 6 national ranking and No. 5 RPI ranking in 2016. The 2016 Tar Heels team also boasted the best offense in the program in over three decades. North Carolina had seven players with over 100 kills last season. On the recruiting trail, Rackham had nationally recognized classes in 2011, 2013 and 2014. Her best recruiting class came in 2012 when Rackham had the No. 8 class nationally, which produces three All-Americans. “Thank you to Athletics Director Phillip Fulmer, who has expressed his support and desire to return Tennessee volleyball to prominence and for having the confidence in me to lead the program,” Rackham said. In her time as recruiting coordinator at North Carolina, she signed 17 top 100 players and recorded the No. 3 overall class in the nation in 2016. Before her returned tenure in Chapel Hill, Rackham was an assistant and recruiting coordinator at Florida International. The Panthers reached the NCAA Tournament for the first time and also won a Sun Belt Regular-Season Championship in 2008. Previously, Rackham started her coaching career at Colgate in 2004, and coached at East Carolina in 2005, where she gave the Pirates their third 20-win season in program history. Rackham was more successful as a player than a coach in her time as a Tar Heel. She racked up All-ACC and first team All-Region honors in 2002, and tallied a 110-27 record at North Carolina. Rackham won over 80-percent of the games she played in a Tar Heels uniform, and she graduated from North Carolina in 2003. “I am confident recruits will see the opportunities available to them here, and I look forward to fostering a winning program the community can embrace,” said Rackham.